The changes happen fast. One Sunday the temperature was above 70 degrees in Omaha, Nebraska, and by Monday afternoon a 30 degree drop had occurred and strong northerly winds had moved in. A week later the temperatures were back int he 70s and people were going to bed with the windows open. With changes like this going on during the first full week of March, the need for AC repair and service are not far off. While some home owners think that they are doing everything they can to prepare for warm weather by mowing up the dead leaves and trash that have gathered in the lawn over the long winter, others understand the importance of maintenance issues like heating and AC repair. Experts suggest that the best way to make sure that a home’s heating and air conditioning services are ready is to schedule twice a year home service calls. While these services may cost anywhere from $70 to $100, some AC repair and maintenance companies offer discounts if you register for a single year or multi-year contract. These predictable contracts have a couple of very specific benefits. For the companies offering them, they allow these teams to schedule themselves throughout the months leading up to the change in seasons. For the customers, these scheduled appointments make sure that your AC maintenance is scheduled before the unit will be running full time. In addition, preventative checks can help you avoid costly repairs on the first hot day of the season. You can lose up to 5% efficiency if the system is not working the way it should. Commercial air conditioning service and maintenance charges begin to pay for themselves if the unit is running as efficiently as it should. Nearly 66% of all homes in America have air conditioning, but this does not mean that all 66% are running efficiently. Homeowners who neglect yearly maintenance may not be happy with the monthly bills that they pay for the energy that they are using. How Old Is the Heating and Cooling Unit That Controls the Temperature in Your Home? If AC repair bills are a frequent part of your home owner budget it may be time to consider replacing your current unit. A simple understanding of how much more fuel efficient your new car drives when you compare it to the 15-year old model you traded in might help you understand the disadvantages to an older home cooling system. As the industry makes progress in the efficiency ratings in the units that they make and sell, it just makes sense that investing in a newer model may be an advantage to many owners of older homes. For example, today’s best air conditioners use anywhere from 30% to 50% less energy to produce the same exact amount of cooling as air conditioners that were made in the mid 1970s. These newer units use less energy and are more environmentally friendly as a result. If replacing a dirty, clogged filter with a clean one can lower an air conditioner’s energy consumption by as much as 5% to 15%, doesn’t it make sense that upgrading to a new unit will produce substantially more savings? 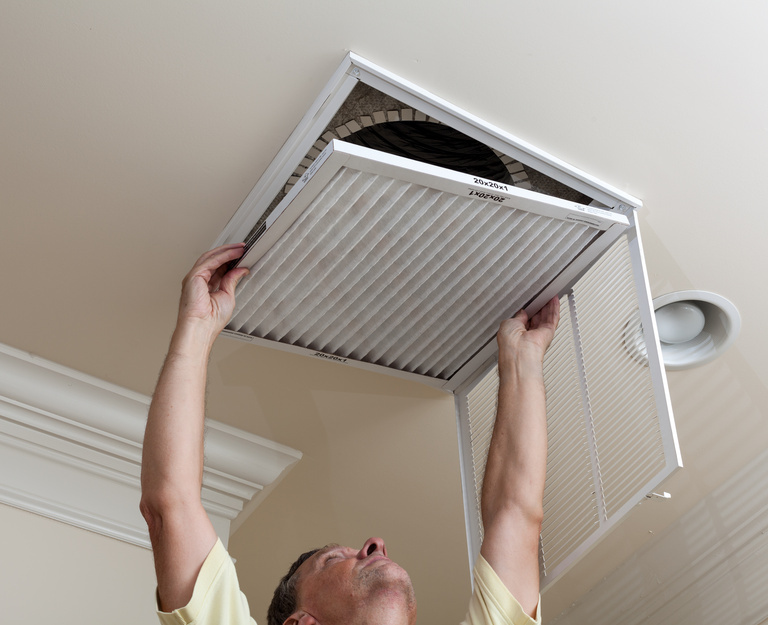 The days of AC units leaking freon and freezing over instead of cooling your home should be a thing of the past. Instead, the most responsible home owners are looking toward environmentally friendly and energy efficient ways to heat and cool their homes. Before you pat yourself on the back for mowing up the fall leaves and winter much from your lawn, make sure that you first call for an AC tune up as well.